packaged in cartons of 31*25*21cm then into plastic pallet. l Constant superheat adjusting performance. 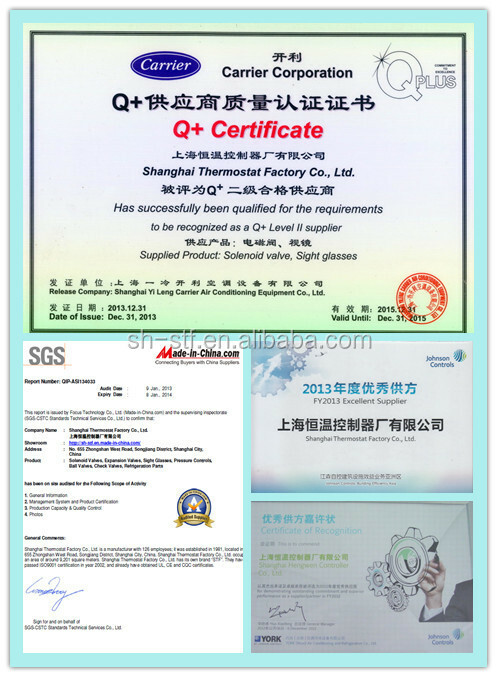 l Evaporating temperature range: -40℃~+10℃. l MOP (Max. 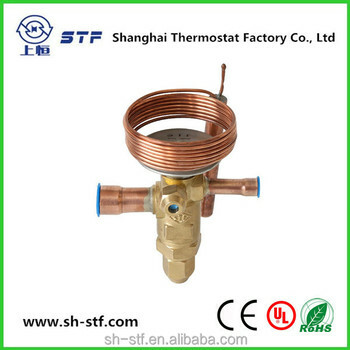 operating pressure) function is available. l Changeable inlet filter net. 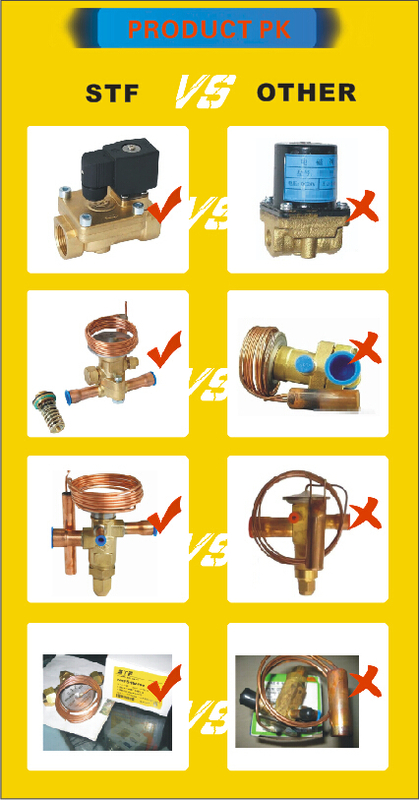 l Suitable for R22, R134a, R407c, R404A/R507. 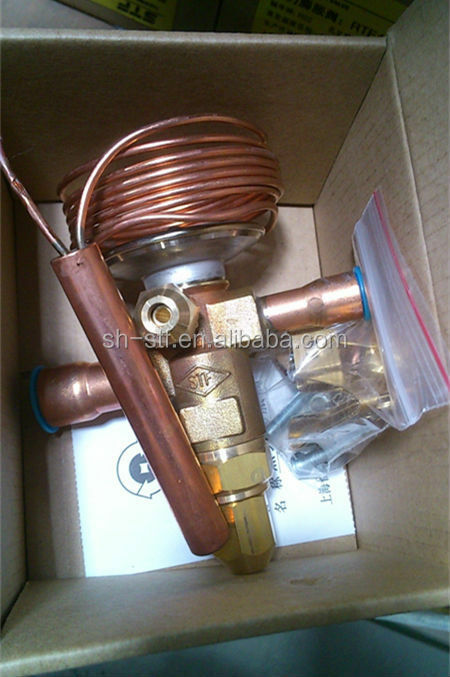 Take off cap and turn adjusting stem .Turn adjusting stem anticlockwise one round ,reduces superheat 1.5K. 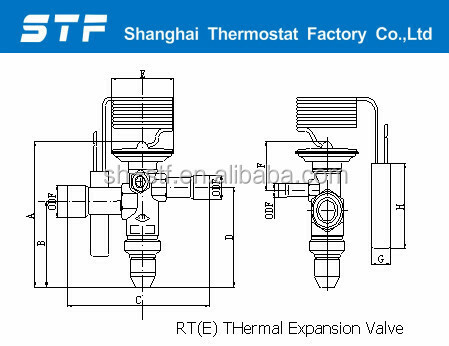 Shanghai Thermostat team Factory Co.,Ltd has strong ability in designing and after service. 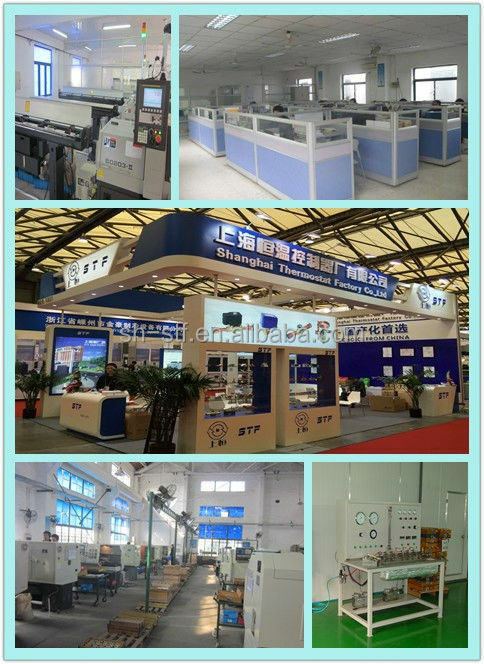 Cooperation withALCO,Carrier, Johnson Controller has improved our quality to a new level. 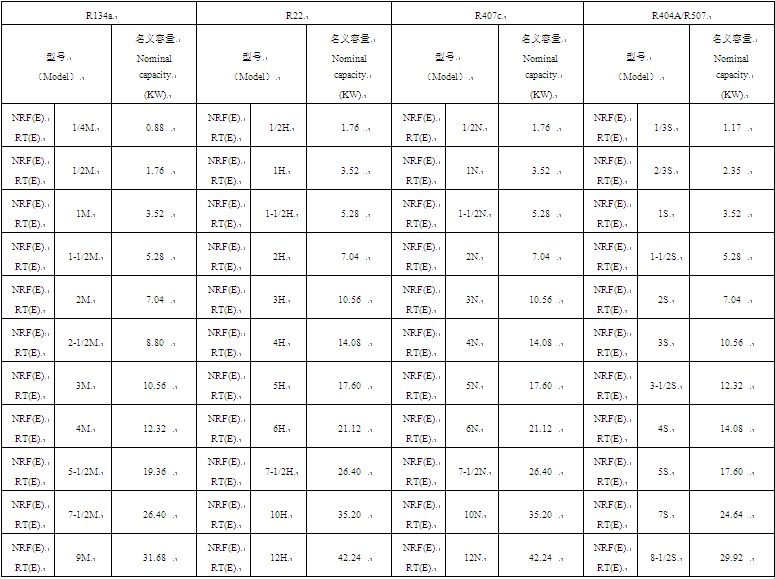 3)Shipment: average 15-25days after receiving deposit.